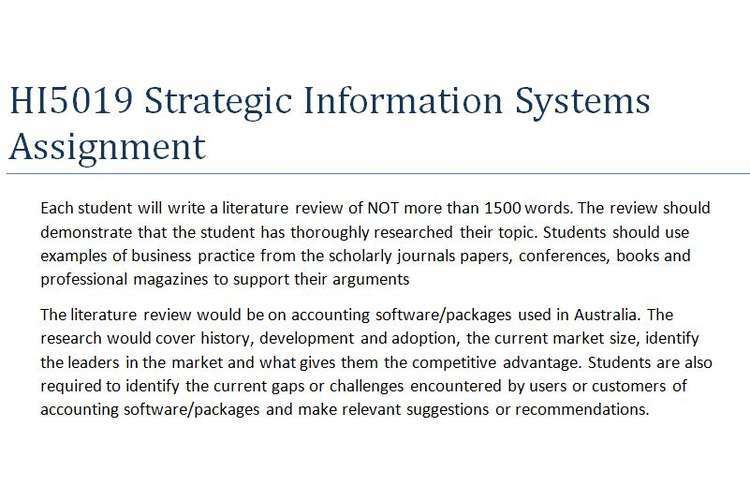 Each student will write a literature review of NOT more than 1500 words. The review should demonstrate that the student has thoroughly researched their topic. Students should use examples of business practice from the scholarly journals papers, conferences, books and professional magazines to support their arguments. Information is somewhat organized, Some elements of layout or length incorrect. Satisfactorily introduces the topic of the research report. Indicates the overall "plan" of the report. Understanding of reading shown. Few relevant analysis. Satisfactory summary of the main points. Introduces the topic of the research report, but omits a general background of the topic and/or the overall "plan" of the report. Not all material correctly acknowledged.